On Saturday night, the outside of Cohn Campus felt more like Disneyland than the entrance to a school. 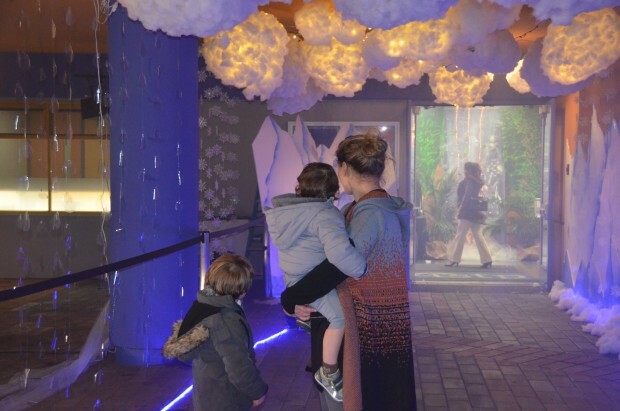 As an eager crowd pressed in, lightning flashed through 3D clouds, fog billowed at the base of a waterfall, and snowflakes fluttered across rugged mountains, in a dramatic, immersive display of the water cycle. Students were especially excited by the falling “snow,” as they ran through the flurries and tried to catch the ephemeral flakes. 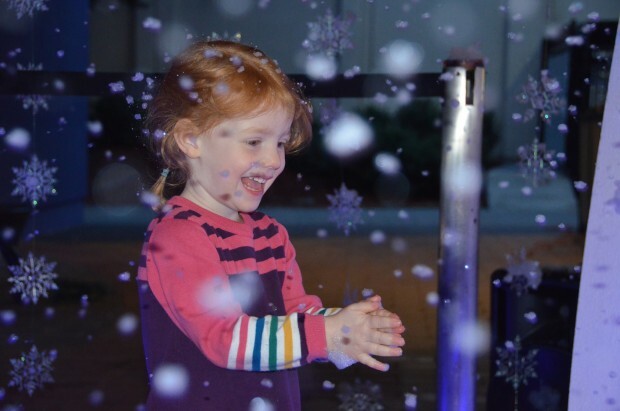 It truly seemed as if a festive “Winter Wonderland” had descended upon ISTP for the evening. This year’s theme lent itself to a diverse array of interpretations, in many different media. From photography, to sculpture, to painting, to video and digital design, each class was inspired in a different way by the beauty and importance of water. 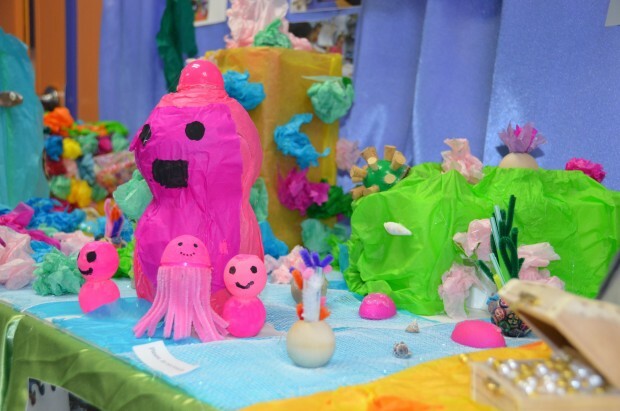 One stunning display featured a room of bioluminescent creatures from the deep sea, which Agnès’ 5th grade class constructed in three dimensions with glowing LED lights. 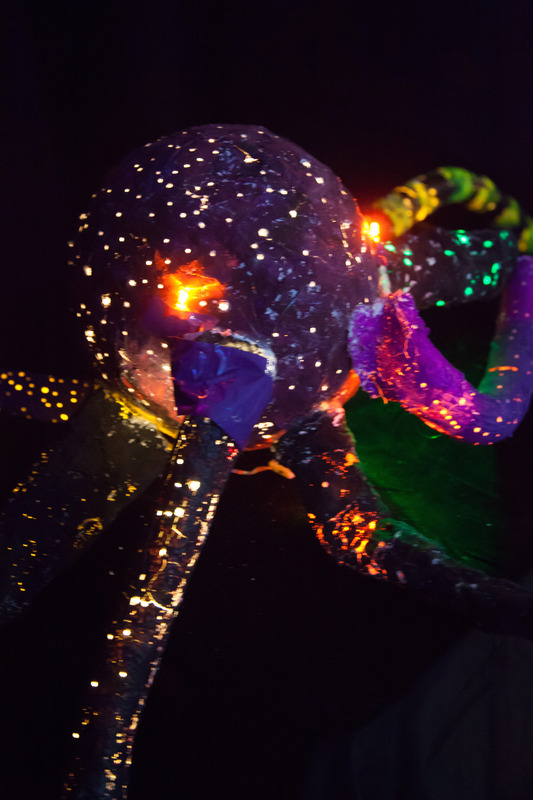 Computer Science teacher Olivier Monteil helped the students program movement into their display, and glowing jellyfish spun and moved through the pitch black room. An area of the Media Hub featured multimedia collages depicting the different ways African women use water, a topic students had studied in class. Elsewhere, a video of a “water dance” that kindergarteners had choreographed themselves was playing. The range of artistic production was fascinating. All this art was created thanks to the hard work and ingenuity of our art teachers Haiying Yang and Aïcha Idelcadi, as well as the Cowper teachers, who dreamed up all the inspiring projects that made up the incredible display. 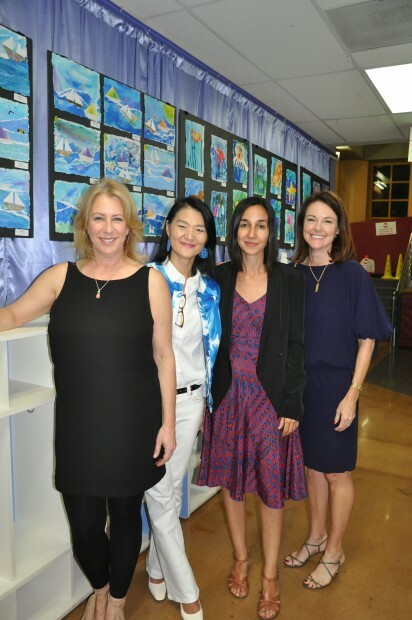 We would also like to thank all the Arts Night parent volunteers, Food Chair Lisa Surwillo, and our fantastic Arts Night Co-Chairs Carolyn Lott and Jessica Yansouni, who along with our talented students and teachers, together created a magical night.